The metal men of Metallica recently unleashed a signature whiskey, and now, the band is going one step further and releasing a brand new kind of beer, appropriately called Enter Night. The brew, which is described as a “hoppy pilsner played through a distortion petal,” is named after the familiar lyric from “Enter Sandman.” It was crafted alongside Arrogant Consortia, an imprint Southern California brewery Stone Brewing. To look up where to find Enter Night in your area, head to Find.ArrogantConsortia.com. It’s available at various retail stores and bars across North America. 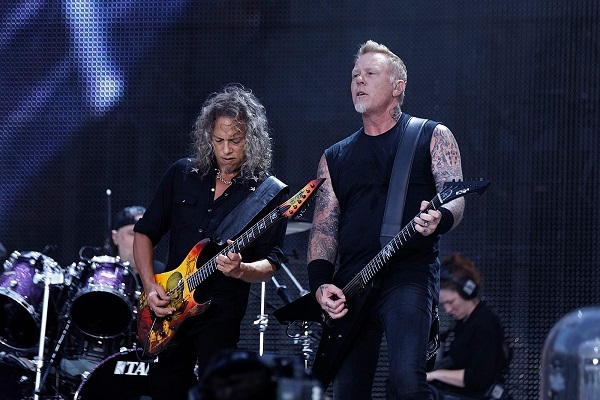 In other news, Metallica will kick off their latest run of North American tour dating Friday (Jan. 18) at the BOK Center in Tulsa, Oklahoma. That tour will keep the guys on the road through a March 13 date at the Van Andel Arena in Grand Rapids, Michigan. Find their full list of upcoming North American tour dates here.